the executive government wing on the southern end of the structure. 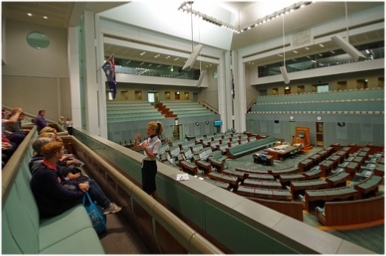 Below left: in the House of Representatives on the highly recommended free guided tour, conducted by a delightful Dutch-Australian lady (top right). 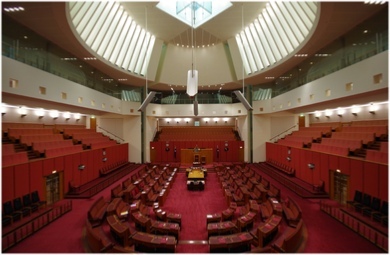 Below right: rich reds of the Senate. Below centre: the spaces between the curved walls of the four main zones form private gardens that are not accessible to the public. 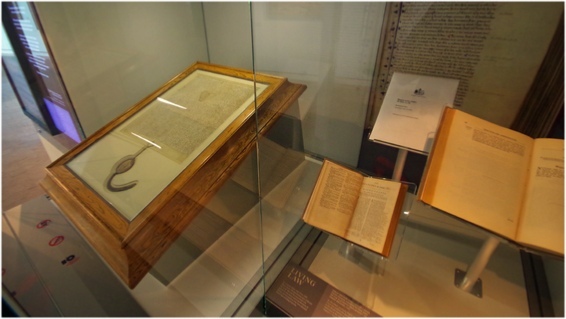 Left: a jewel of the Parliament House collection is one of only four remaining copies of the 1297 Inspeximus edition of the Magna Carta, issued by King Edward I (in the glass & timber case at left). Magna Carta is widely regarded as one of the most significant documents in the history of democracy because in it the King acknowledges in writing that no-one in society is above the law: not the king or his subjects, not the government nor the governed. As an affirmation that authority should be subject to law arising from the community itself, Magna Carta is a foundation stone of constitutional and parliamentary government. 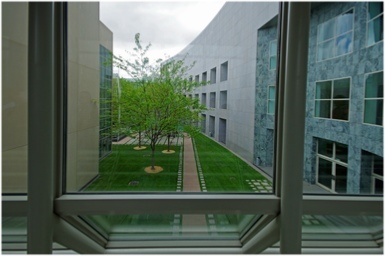 Parliamentarians often receive gifts from foreign governments & organisations. Some of these are on display on the 1st floor. Above are two of my favourite displays. 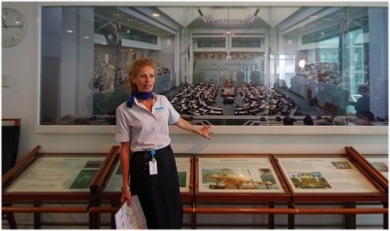 Above left: gavel used to open the New York Stock Exchange (from USA to Tony Abbott); battle staff (from Samoa to Bronwyn Bishop); ceremonial gold dagger (from Bahrain to Bob Hawke). 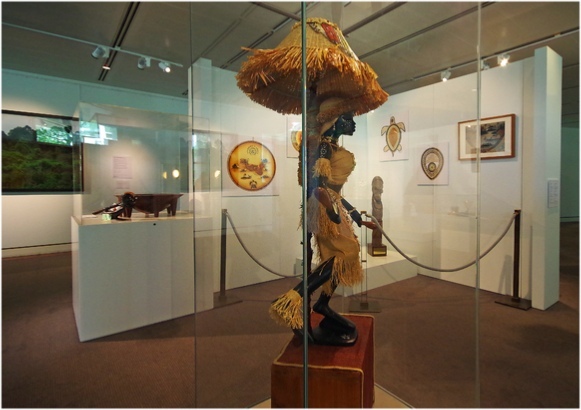 Above right: Lady Lamp (from the Gabonese Republic to Julia Gillard) - don’t you just love it? Right: McMahon to Howard. 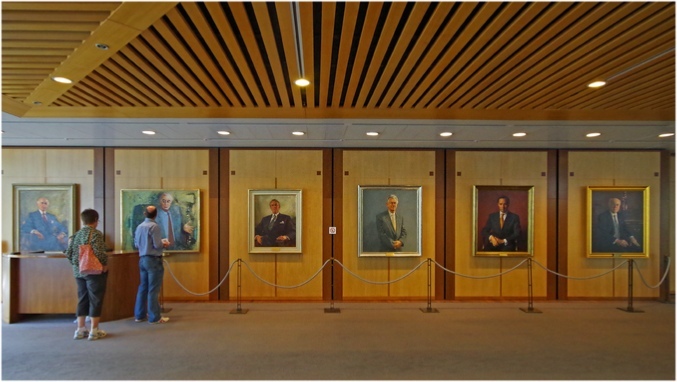 No visit to Parliament House would be complete without time spent studying the Prime Ministers’ portraits - they are very revealing.